Who Knew “Old Man” Could be a Theme? The last two books I read had the theme of “old man with dead wife”. ( A subcategory of the old man theme?) My two latest books even both have main characters named Arthur. 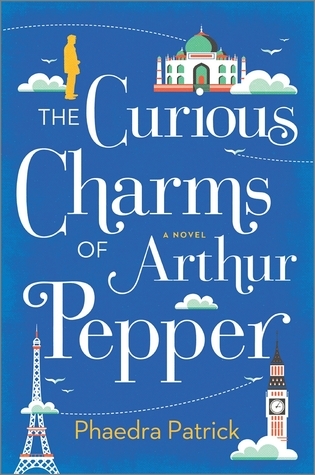 The Curious Charms of Arthur Pepper by Phaedra Patrick is the story of Arthur Pepper who, when the story opens, has been a widower for a year. For the last year, he has done very little. He does not leave the house much and he keeps to a regimented schedule. He misses his wife terribly and does not hear from his two children very often. He feels that the one-year anniversary of her death is the time that he should clean out his wife’s clothes. In doing so, he finds, tucked in a boot in the closet, a locked heart-shaped velvet box. Since Arthur is a retired locksmith, he knows how to open the box. He does look for a key first but does not find one. Inside the box, he finds a gold charm bracelet. He has never seen this bracelet before and it does not seem in keeping with the woman that he was married to for 40 years as his wife. On close inspection, one of the charms has a telephone number engraved on it. In a move completely out of character, he decides to call the number. That act started him on a quest to find out more about his wife and what appears to be her secret life from before their marriage. Arthur thougth about how it was possible for memories to shift and change with time. To be forgotten and resumed, to be enhanced or darkened at the mind and mood commanded. The Curious Charms of Arthur Pepper is a nice story. The story pulls you in quickly and you feel sorry for Arthur, learn to like his neighbor, Bernadette and her son Nathan, and cheer on Arthur on his adventures. Elizabeth Berg has a new book out. Those are words that make me happy. I like Elizabeth Berg. If you don’t follow her on Facebook, I think you should. 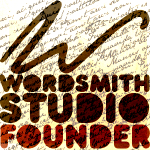 She writes about people and has wonderful insights into people an the things they do. 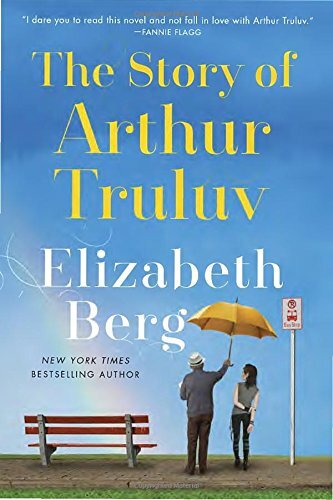 The Story of Arthur Truluv tells the story of Arthur Moses, an 85-year-old widower who goes to the cemetery every day to visit his wife’s grave and listen to the stories of the others buried there. At the cemetery, he meets Maddy. Maddy is 17 when they meet and she is at the cemetery to escape high school. Maddy’s mother died when she was 2 weeks old. Maddy’s father is distant and Maddy has no friends and is bullied at school. After a false start, she and Arthur strike up a friendship. Maddy nicknames Arthur “Truluv” because she is awed by his love for his wife. Arthur also visits with his next-door neighbor, Lucille. Lucille is a retired teacher who never married. The love of her life married someone else but comes back into her life. He taught her one of her favorite words:hiraeth, a Welsh word that meas homesickness for a home you cannot return to, or that maybe never was; it meants nostalgia and yearning and grief for lost places. 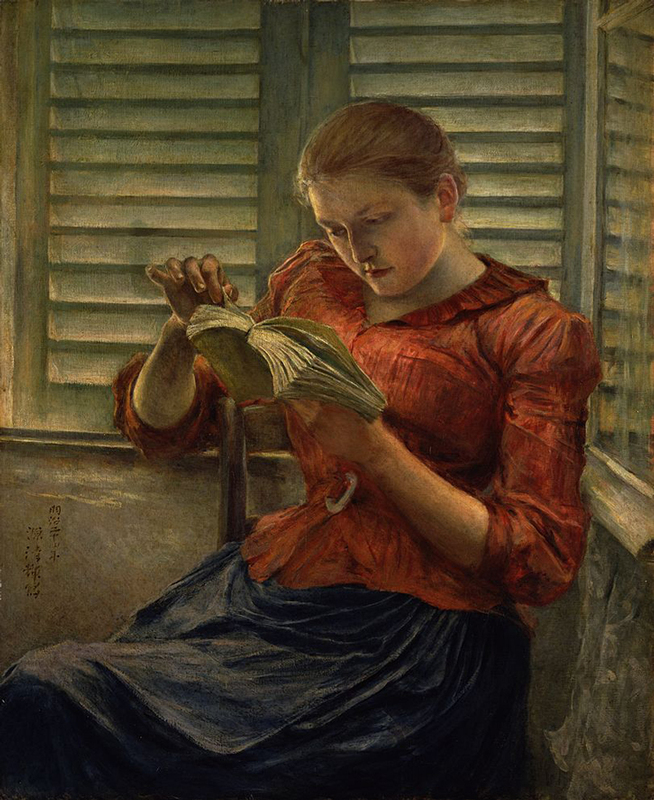 Arthur, Maddie, and Lucille’s lives become entwined in ways that would never be expected at the beginning of the book. This is a lovely story about how people’s lives can be changed for the better when they receive small acts of kindness. Both books fall into my new category of “old man” stories but they are very different. Arthur Pepper has adventures getting out of the regimented life he used to shield himself while Arthur Moses’s life changes because he is nice to people. Both characters are good men just trying to find their way. 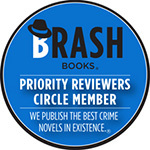 This entry was posted in Talking Books and tagged Elizabeth Berg, Phaedra Patrick, The Curious Charms of Arthur Pepper, The Story of Arthur Truluv. Bookmark the permalink. 3 Responses to Who Knew “Old Man” Could be a Theme? I am a big fan of “Ove”, and these sound interesting too. Thanks for the reviews. Also, I’m sorry I haven’t been by in awhile. I re-subscribed to your blog as I was no longer getting the email updates. I wonder if when I changed from paying for my this blog page back to it being a free word press site, I lost my subscribers? Think that is possible? Drat!